It is official, pink is in. 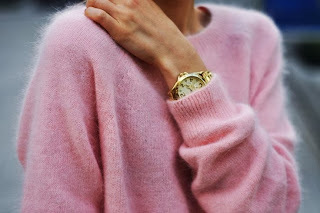 Pink jumpers are fabulously flattering, they illuminate the complexion and are a super versatile item in your wardrobe. It is worth trying on a few different shades to find your perfect colour match, there are so many options out there to suit everyone. 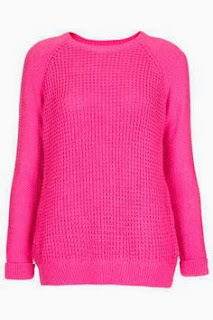 It looks as though pink is going to be hot news in Spring summer 14 so you are safe in the knowledge you will get a couple of seasons wear out of your purchase! 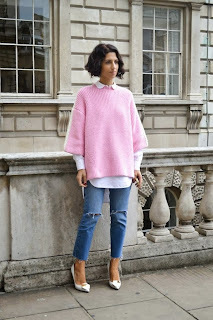 Pair your pink jumper with a pair of leather/leather look skinnies and last seasons wine colour..it works.. Pair with your skinny jeans cut at ankle length. 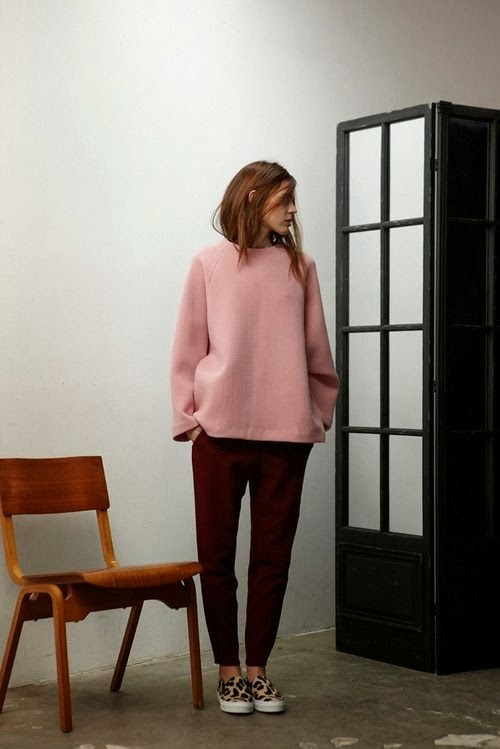 Pink and red..you can clash and look fabulous. 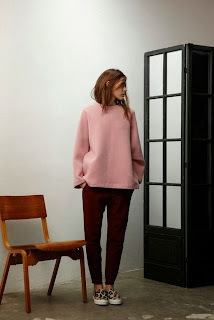 I am a big fan of Jigsaw's knitwear at the moment they seem to have the fabric and cuts just perfect. 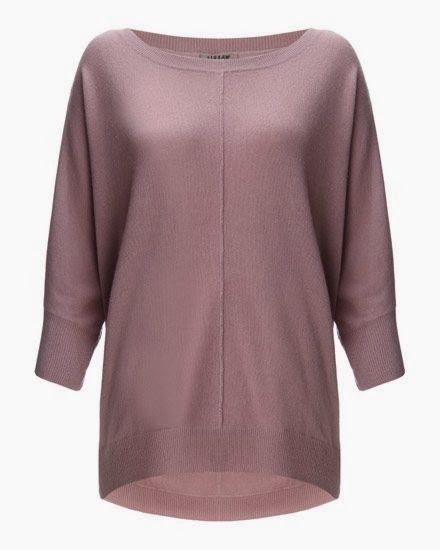 The jumpers are pricey but as soon as you put them on all is forgiven as they hang so perfectly and feel luxurious. 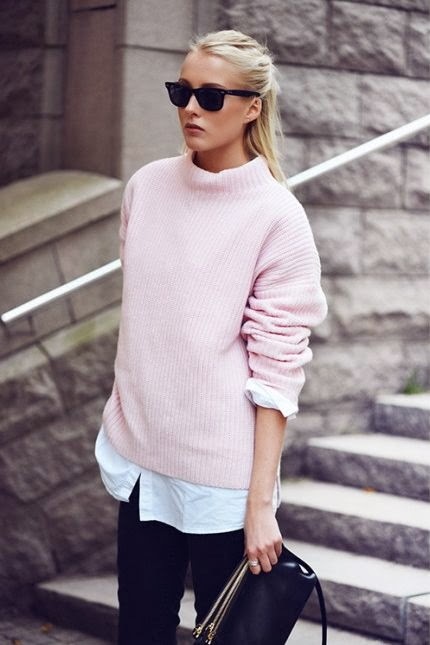 A beautiful pale pink, cashmere jumper in a casual sweater style, purely luxurious but it would be a main player in your capsule wardrobe. Maybe one for the extra special Christmas list...? 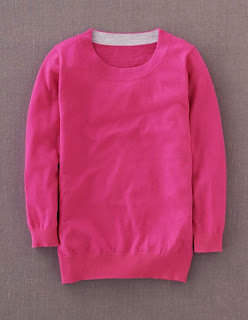 The colour of the jumper in the photo is not a true representation of the true, beautiful, rick dark lilac/ pink colour. It is beautiful, I have tried it on, it is oversized and hangs beautifully, looks equally good by itself or with a denim shirt underneath. 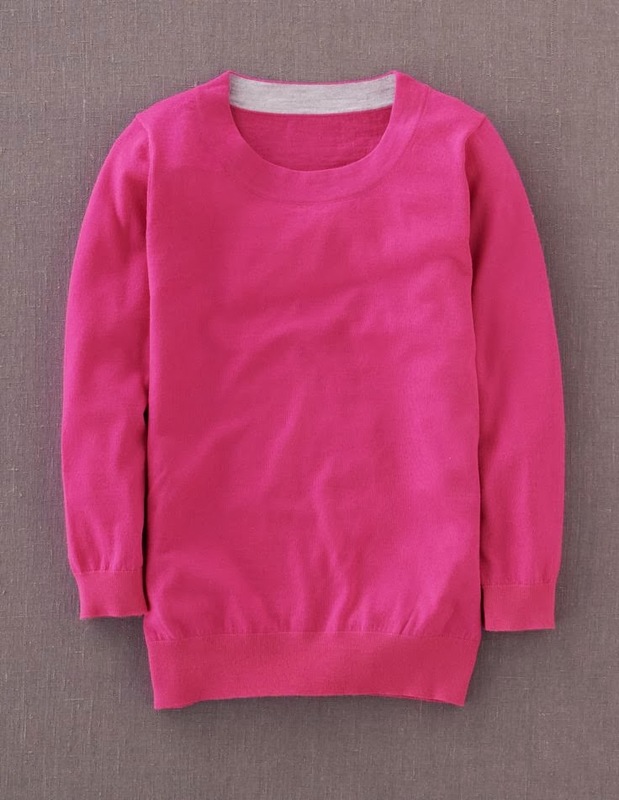 A beautiful vibrant colour, Boden knitwear tends to fit well, true to size and washes well. 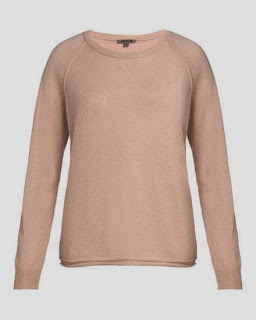 This is a great basic for your wardrobe. A fabulous bubblegum pink colour, although beware... extremely fluffy and malts so avoid with black jeans. 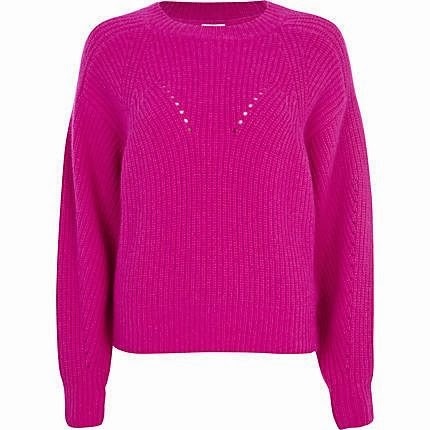 A gorgeous basic, this jumper would look fab with a camouflage/army green jacket thrown over the top or add a statement necklace (with turquoise stones) for impact on a night out. 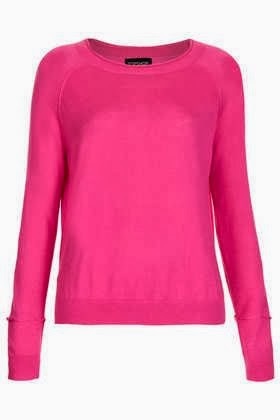 A fabulous slouchy bright pink jumper, sling on over a pair of skinnies and wait for the compliments, it such a rich colour it will suit all skintones. This River Island jumper is a fab tone and shape. A beautiful fine knit chalk pink sweater, perfect for tucking into midi skirts or high waisted pencil skirts, beware of the very pale pink as if you are pale like me this will wash out your complexion. To avoid this colour draining you add a darker tonal pink scarf (think purply pink more than orangey pink) or a sparkly necklace to add radiance and sparkle. It is always worth popping into Primark they have a range of fab pink jumpers starting from £7. You look fabulous in pink!! Wish I could wear it as well as you but it is way out of my comfort zone!! Would love to get some more colour in my wardrobe but will have to start small with some pink scarfage me-thinks!! visitors will interfere with your resource collecting if you do not deal with them.